One hundred and ninety-three (193) 'Peak' class diesel electric locomotives were built at BR workshops at Derby and Crewe during the period from 1959 to 1963. They were known as 'Peaks' because the first locomotives (Nos. D1 to D10), which subsequently became class 44s carried names of mountains in the Lake District, Yorkshire Dales, Pennines and Snowdonia. The first ten were confined to hauling coal trains in Derbyshire and Nottinghamshire and as they did not appear in Worcestershire are excluded from this article. Nos.D11 to D137 became class 45 and those from Nos.D138 to D193 were class 46. When the class 45 locomotives were built two styles were adopted for the headcode panel on the nose of the locomotives. Nos. D11 to D30 and Nos.D61 to D107 had two head code panels set at the extremities where Nos.D31 to D60 and No.D108 to D137 had the two panels grouped together in the centre of the locomotive. 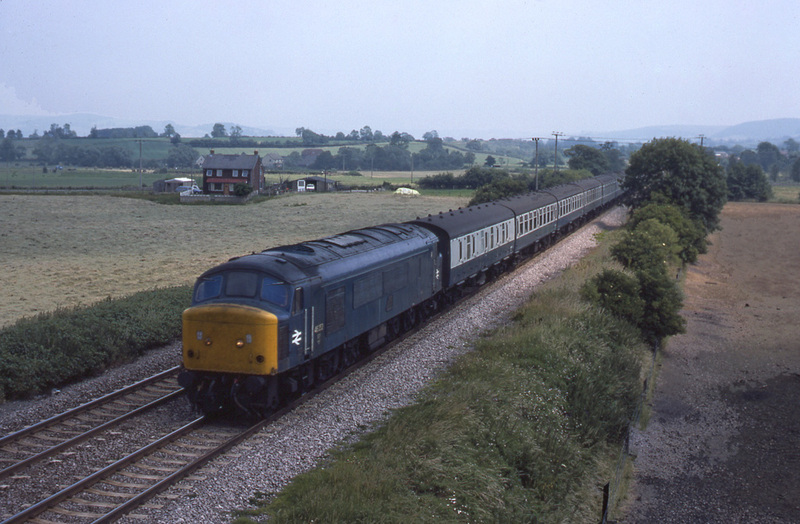 Locomotives of classes 45 and 46 were a common sight in Worcestershire on inter-regional trains through the 1960 and 1970s. 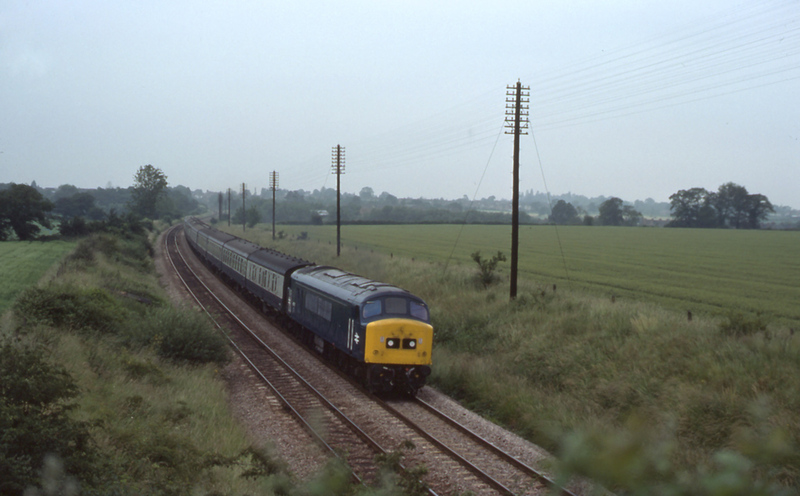 The photograph shows a typical working (Headcode 1V89) heading towards the West Country. 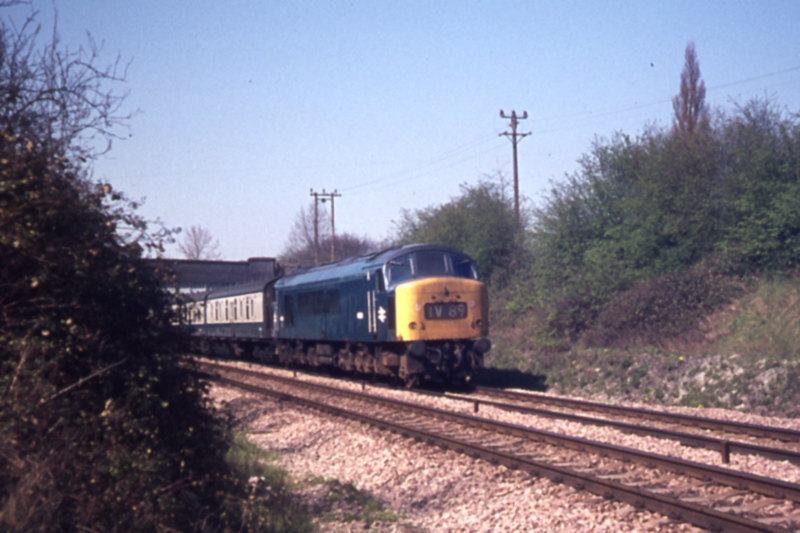 Andrew Smith took this photograph at Defford on a very sunny 16th April 1974. 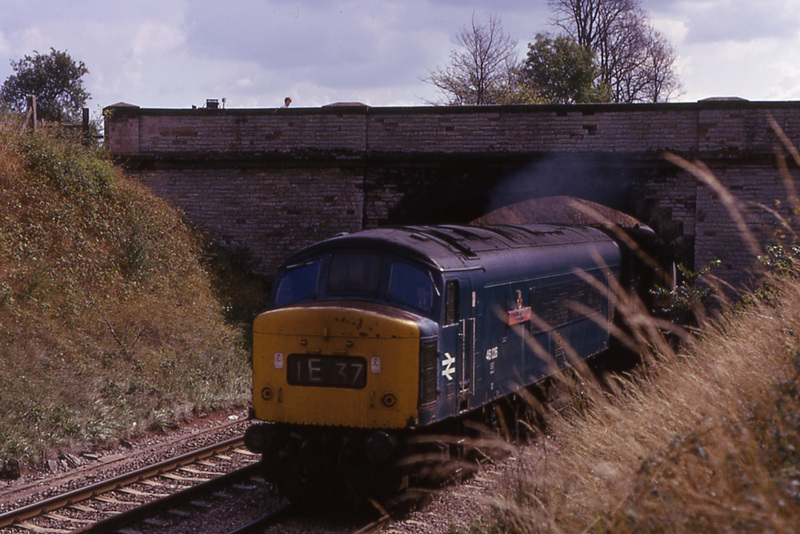 The headcode panels of Class 45 diesel locomotive No.45057 are set wide apart in this photograph taken by Andrew Smith of a northbound express at Bromsgrove in October 1978. 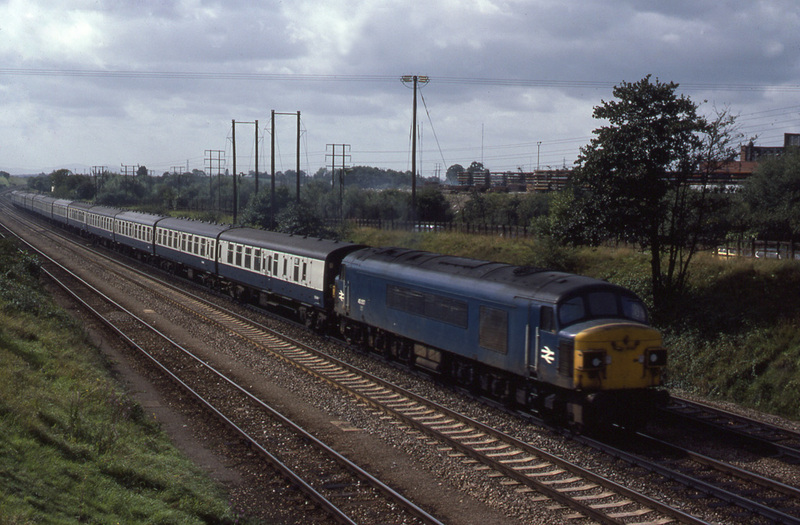 Class 45 diesel locomotive No.45077 was carrying its original two aspect headcode panels in the centre when seen at Martin Hussingtree on 9th July 1977. Photograph taken by Andrew Smith. Some locomotives of class 45 (and one of class 46) carried names (usually of a military nature but not always) and this was often a useful clue as to the identity of a locomotive where the photographer had not recorded the locomotive's number. On 25th August 1975 class 46 diesel locomotive No.46026 bursts underneath the road bridge at Bredicot with the northbound 'Devonian' from Paignton to Bradford which carried train reporting number '1E37'. Robert Pritchard, the renowned railway photographer and founder of the MIAC, can bee seen standing on the bridge. Photograph taken by Andrew Smith. Subsequently the headcode panels were removed and plain noses were fitted as can be seen in class 45 diesel locomotive No.45052 as photographed by Andrew Smith at Abbotswood in June 1978. There were also cases where different types of noses were carried at each end of the same locomotive, perhaps due to an unexpected accident repair.